Lewis pretty much grew up in the water, originally from the Bay of Islands in the North Island of New Zealand. Having lived in Australia for the last 5 years Lewis now calls Brisbane home. Starting off his career under water as a PADI Scuba instructor, Lewis saw the light in 2011 when out of curiosity he enrolled in an Apnea Australia Stage A course run by Bjorn. That as they say was that, and Lewis was instantly hooked on freediving and the extra challenge it presents compared to scuba. Lewis soon decided to focus on freediving rather than scuba and theres an old dusty BCD and regs under his house somewhere collecting dust and feeling very unloved. Soon after completing the Stage A Lewis began training with the Brisbane Freedivers Club, went on to do Stage B and in 2012 completed Stage C , trained in Tonga with Erez and completed instructor training. 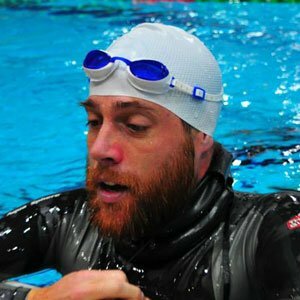 Lewis started teaching freediving towards the end of 2012, has taught courses all over Queensland and assisted Erez teaching and coaching in Tonga. Lewis gets a huge buzz from teaching both new freedivers and working with more experienced athletes. Lewis teaches Stage A and Stage B courses and hopes to soon undertake further training with Erez to become a Stage C and Apnea Australia Instructor Trainer. Lewis is also a keen competitive freediver , having taken part in competitions both in Australia and overseas winning the Australian national championship in June 2014. Lewis is also involved in the organisation of freediving in Australia being the Clubs Officer for the Australian Freediving Association and the Safety and Inductions officer for the Brisbane Freediving Club. Lewis enjoys taking part in media projects relating to freediving and has taken part in a BBC documentary and news paper articles. When he’s not in the water Lewis has a creative streak and works as a graphic designer in the signage industry. He also designed the current Apnea Australia logo and branding.